Moving from farmworker to farm owner has long been a challenge for Latinx farmers. But with support, more are making the leap, increasing the number of diverse, small-scale operations. At first, Zamora worked for others, but the pay was low, and he had a family. “I needed to be financially stable, so making $12 an hour was not going to cut it,” he recalls. In 2012, he struck out on his own. In just a few years, Zamora made a name for himself by establishing a business, JSM Organics, and growing it from one-and-a-half acres to more than 100. 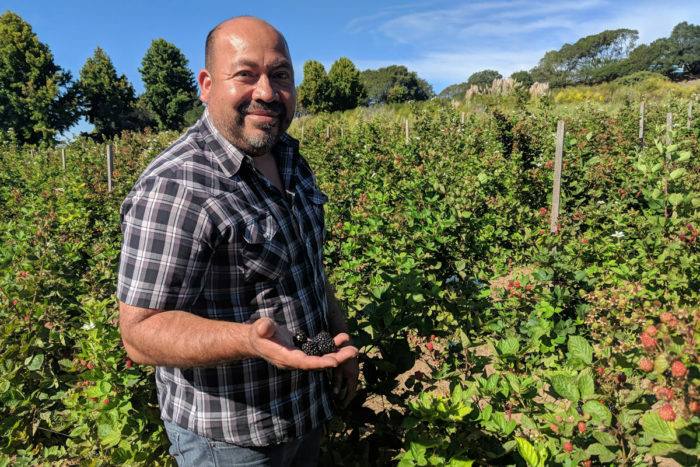 He sells his vegetables, flowers, and berries to retail outlets as well as farmers’ markets all over the Bay Area—and was recently recognized with the 2018 Rising Star Award from the Organic Trade Association. Zamora’s story is exceptional, however; most Latinx farmers still have a long way to go to achieve this level of success. While Latinx people make up about 83 percent of field laborers in the U.S., they own only about 3 percent of the farms. The low number of Latinx farm owners is “misrepresentative of who’s farming now and who’s got the talent and desire to farm,” says Chris Brown, Development Director at the Agriculture and Land-based Training Association (ALBA), a nonprofit in Salinas that incubates mostly Latinx-run farm operations. Brown points to the fact that the official numbers of new and beginning farmers have not been keeping up with the number of those who are retiring in the U.S., adding that skilled farmworkers are rarely considered in that equation. “You want new farmers, and you have droves of them already in the field,” he says. 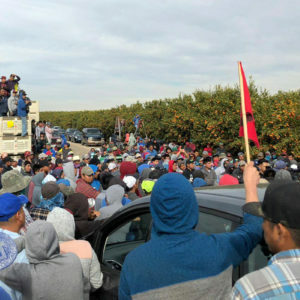 There are a number of factors at play: Latinx farmworkers face an array of challenges when they try to start their own farms, including language barriers, lack of knowledge about the market, and for the more than half who are undocumented, an inability to access government resources such as subsidies and grants from the U. S. Department of Agriculture (USDA). While Latinx farm ownership grew at the beginning of this century, it has since plateaued. According to the USDA’s 2012 Census of Agriculture, the proportion of Hispanic farm owners increased by 21 percent between 2007 and 2012, to 3 percent of all U.S. farm owners. This increase doubled that of other groups and ran counter to the overall decrease in farm ownership in the country. Laura-Anne Minkoff-Zern, an assistant professor of food studies and agriculture researcher at Syracuse University, believes the census numbers likely do not fully represent the number of Latinx farmers. “Most farmers I’ve interviewed, who identify as first-generation Latino or Hispanic farmers, have not filled out [any USDA] census,” she says. California’s agricultural industry is especially dependent on immigrant labor, with nine in 10 agriculture workers coming from Mexico. Over 40 percent of the country’s Mexican-born crop workers are in California, according to data from the National Agricultural Worker Survey. California also employs the most agricultural workers compared to any other state, according to the Bureau of Labor Statistics. But the instability of farm work, coupled with a desire to have more autonomy and upward mobility, has caused Latinx farmworkers to look increasingly toward farm ownership. But in trying to establish their own operations, these farmers often find themselves up against daunting challenges. 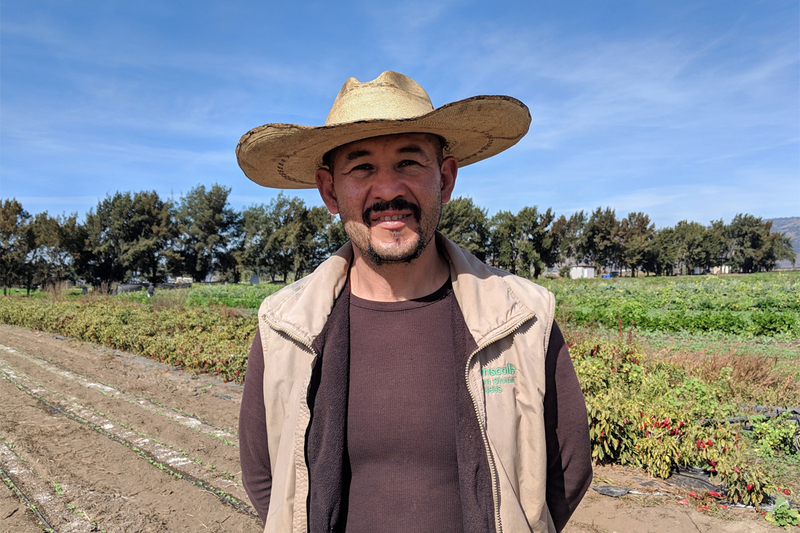 The increasing consolidation and mechanization of large farms in the U.S. has made accessing land and capital difficult, and small-scale farmers like Zamora have to find ways to stand out in order to survive. Many Latinx farmers choose to farm organically, Brown says, in part because the higher market value allows them to build their own businesses and have autonomy over their work. But, in California’s competitive market, going organic isn’t enough; farmers have to grow new and niche foods and get their products successfully to market. Farmers’ markets in urban areas often have long wait-lists, and new vendors have to offer something that isn’t already there. In addition, many Latinx farmers want to remain small-scale, making it difficult for them to compete in an increasingly monocrop-focused, industrialized industry, says Minkoff-Zern. “Scaling up is tough because they have to change their way of production. 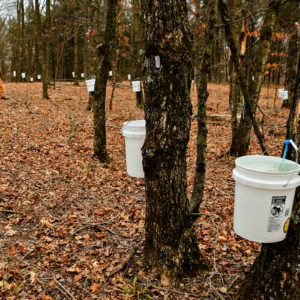 Most first-generation farmers … are not necessarily interested in doing that,” she says. For example, the USDA’s Outreach and Assistance to Socially Disadvantaged and Veteran Farmers and Ranchers Program and the Beginning Farmer and Rancher Development Program offer outreach, technical assistance, and loans to minority and beginning farmers. Those programs were recently combined in the 2018 Farm Bill and will receive up to $50 million in funding by 2023, as well as permanent baseline funding for the first time. However, Minkoff-Zern says that in order for Latinx farmers to truly take advantage of those opportunities, the USDA needs to employ more bilingual staff and do intentional outreach to Latinx immigrant communities, where she says information often spreads by word of mouth rather than through online channels. Many Latinx farmers might also miss out on government loans and organic certification because they require extensive record-keeping that they may not be accustomed to completing due to language and education-related barriers. When it comes to accessing markets for what they grow, Minkoff-Zern adds that a type of “veiled discrimination” can happen in farmers’ markets and other alternative food spaces such as co-ops, where Latino farmers don’t have the same social networks as white farmers. In Javier Zamora’s case, the support of local organizations such as ALBA and Farmlink made all the difference. He received his first loan of $10,000 from Farmlink after being turned away from banks due to bad credit. He also farmed his first piece of land through ALBA’s incubator farm. 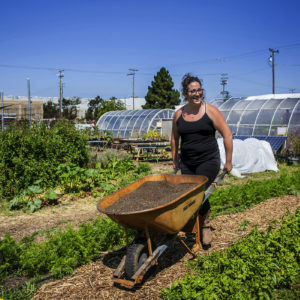 ALBA, which grew out of the work of the Rural Development Center founded in 1985, helps low-income, minority farmworkers become organic farm owners in rural Salinas. ALBA’s primary program, Programa Educativo para Pequeños Agricultores (PEPA), or Farmer Education Program, is a year-long training that combines classroom instruction and field-based work. After graduating, participants can apply to be part of the organic farm incubator, which rents them up to five acres of land at a subsidized rate and helps farmers launch and grow their businesses over four years. Victor and Veronica Cortes have a small, two-and-a-half-acre farm just around the corner from ALBA. Victor participated in the ALBA program in 2013 and has been farming independently with his wife since then. On a recent fall day at the farm, Veronica was in a shed packing up boxes of serrano peppers to send to their distributor. “The hardest part is selling the products,” she says. “The last four years we sent a lot of product to the garbage. We didn’t sell it because the market is full.” This year they’ve fared better. They diversified their offerings, and started growing niche products like gherkins and jicama. Victor, who worked as a manager for the berry-growing giant Driscoll’s for nearly a decade before launching the farm, is kneeling behind a single tall row of corn plants as he picks jicama roots. He says left Driscoll’s because he didn’t see any way to advance at the company. “For a worker like me, that was it. I am limited in English, in my education,” says Cortes. Nationally, community-based programs that focus on providing technical assistance to Latinx farmers are few and far between. Latinx farmers in in Washington can work with Viva Farms, a nonprofit farm-business incubator that is similar to ALBA. The Farmworkers Association of Florida has also done trainings geared toward Latinx farmers, and FARMroots, a program of Greenmarket farmers markets in New York, provides technical assistance and mentorship to primarily immigrant farmers. Still, Picciano of the Rural Coalition says there is an “urgent need” for more investment in technical assistance to Latinx farmers. Cortes says he is seeing more Hispanics becoming farm owners, but the most significant barrier is confidence. “When you come here from Mexico, you think you will be a laborer,” he says. In order to increase the number of Hispanic farm owners, he thinks immigrants need to learn that there are other options. “We can change our situation, we can be on the other side,” he says. For that shift to happen, farmworkers need to be viewed as a priority in terms of farm ownership, “rather than just as workers,” says Minkoff-Zern. That could mean more economic incentives for farmers to sell their land and machinery to their workers, especially as the average age of primary farm operators is 59.4, according to the 2017 Census of Agriculture, and many are thinking about retirement. Erin West, federal policy director of the National Young Farmers Coalition, says young farmers are already more diverse than the general farming population, but there needs to be more opportunities for those groups to access federal support. “If we want agriculture to be successful and want young farmers to be successful, that means including Latinx farmers and other socially disadvantaged producers,” she says. Ultimately, both Minkoff-Zern and Picciano believe that more Latinx farmers could also mean stronger rural communities and a shift to a more sustainable food system, especially as Latinx farmers tend to opt for diverse, small-scale operations that sell direct to eaters. But Picciano adds that Latinx farmers also need to be thinking about succession. “We need to work with them on transition plans so they can also pass farms on to the next generation,” she says. That next generation is something Zamora has just recently started to think about. While he shows no signs of slowing down, he says that his daughters, 22-year-old Cynthia and 23-year-old Selena have started working at the farm five days a week. “My hope is that once I turn a bit older, then they can carry on with it,” he says. The dream lives on, don"t you love it.